Samsung’s back at it again. The company has aired four new ads that bash the iPad while painting its own 12-inch Galaxy Tab Pro tablets in favorable light. Samsung released these big tablets three months ago. The ads convey a few hard-hitting yet simple to grasp messages that likely won’t sit well with loyal fans of the California-based company. 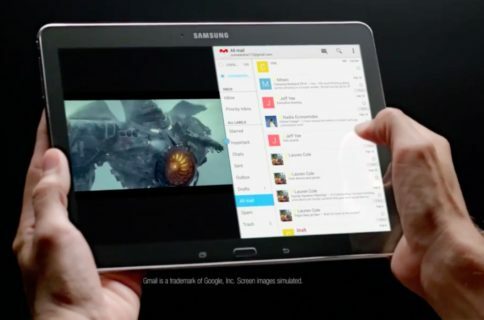 One ad tells the viewer that anyone can multitask like a pro on Samsung’s tablets that can run two apps side-by-side. Another commercial focuses on Samsung’s ‘Multi User’ mode allowing different people to use devices, with each person’s settings, documents and apps separate of the others, a feature notably absent from the iPad. Yet another video, titled ‘Pixel Density’, offers a critique of the iPad’s 2,048-by-1,536 Retina display at 226 pixels per inch. 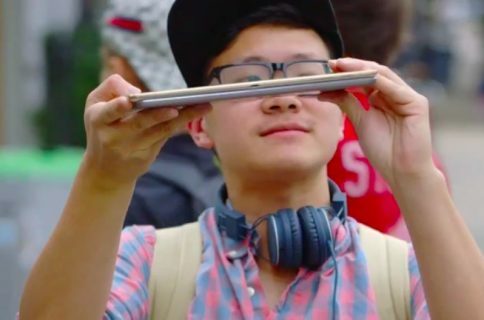 Apple’s “Retina thingy”, the ad explains, pales in comparison with the Tab Pro’s sharp 10.1-inch screen at a whopping 2,5600-by-1,600 resolution with a pixel density of 299ppi. The ‘Two Things at Once’ title is self explanatory. When it comes to talking to the boss, you always want to put your best face forward. With Multi Window on the Galaxy Pro Series, video chatting and sending emails are not mutually exclusive. The ‘Multi User’ ad focuses on the multi-user mode on Samsung’s Tabs. Pony Princess Hair Salon is all well and good, but having privacy on a shared tablet is even better. With Multi User Mode on the Galaxy Pro Series, each person has a separate log in – so the whole family can have their own space. The following ad is titled ‘Pixel Density’. It may not have a Retina Thingy, but the Galaxy Tab Pro does have more pixels than the competition – so it looks that much better. The ‘Book Club’ ad takes issue with Apple’s iBooks. The Galaxy Tab Pro has your reading list covered – along with just about everything else. 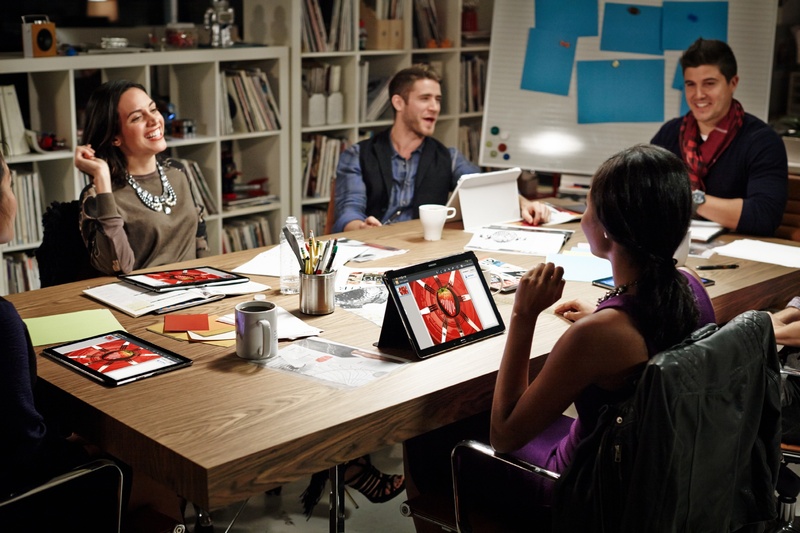 With more than a million available apps, this tablet lets you do more. The scenes used in these commercials are actually part of a longer Samsung ad from last month that took simultaneous jabs at the iPad, Surface and Kindle. However, the South Korean conglomerate has decided that that video wasn’t working so it’s now focusing on the iPad alone as the tablet to beat. 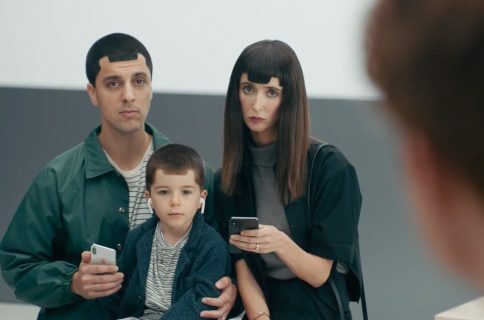 No matter how you look at it, Samsung’s ongoing campaign is smart in cunningly articulating some of the deficiencies of Apple’s devices and iOS software. 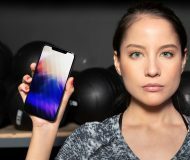 Apple hasn’t graced Samsung with a response as its advertising continues to focus on product features. There’s no doubt in my mind Samsung’s snarky ads are working and damaging the Apple brand in the process. After seeing the same recurring theme played over and over again on television, your average viewer can’t help but really start to wonder and question Apple’s perceived weaknesses. Samsung’s been portraying Apple users as a bunch of hopelessly out of touch elitists, ever since its inaugural 2011 commercial (see below) which ridiculed fans who’d wait in line for a new iPhone. Adding insult to injury, that ad painted the iconic smartphone as an aging handset for old people. According to court documents that leaked out of Apple’s second California trial against Samsung, the edgy campaign infuriated Apple’s executives and Board of Directors so much that a tense email exchange ensued between Apple’s marketing honcho Phil Schiller and longtime ad agency, TBWA/Media Arts Lab. How did you like these commercials? Are they clever or in bad taste, would you say?